Florence County is a Wilderness Paradise. 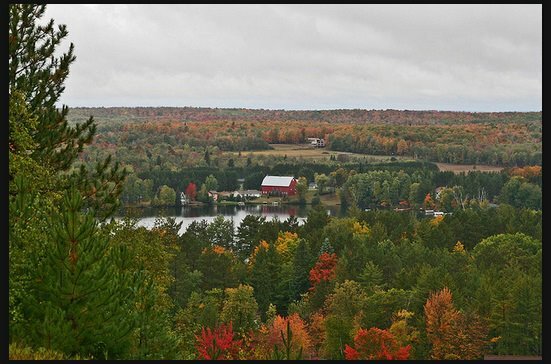 Located along the Wisconsin-Michigan border, Florence County is a wilderness paradise. 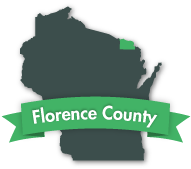 More than half of the county’s land is publicly owned forest – more than 250,000 acres – making Florence County one of the wildest places in Wisconsin. 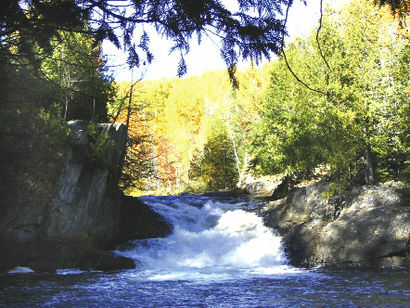 Paddle 165 miles of rivers, including the free-flowing Pine and Popple rivers, which are designated by the State of Wisconsin as “Wild Rivers.” Area waterfalls include LaSalle, Meyers and Bull falls on the Pine River and Washburn, Little Bull, Big Bull and Jennings falls on the Popple River. All but one of these natural gems are accessible by land. 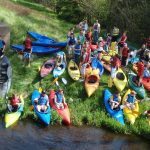 If you love running wild rivers, you need to come to Florence County. 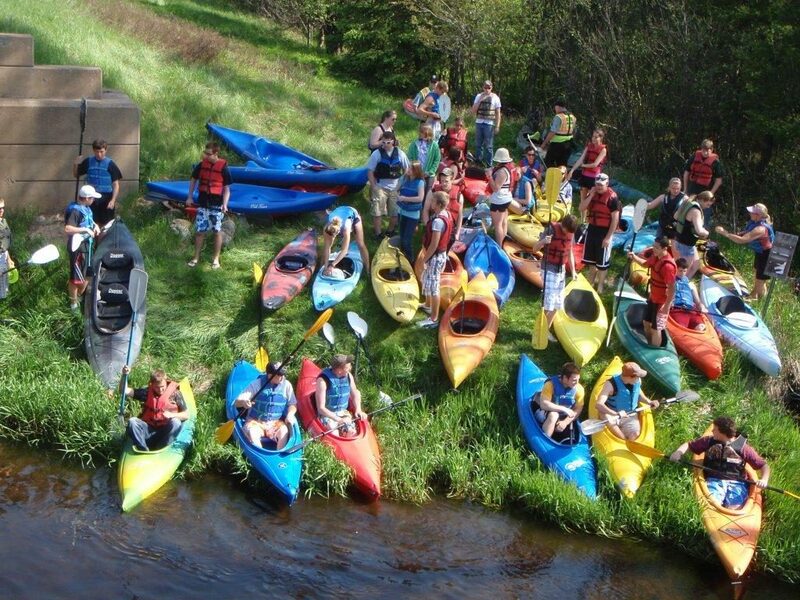 Florence County offers opportunities for canoeing, kayaking and tubing. 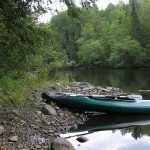 The Pine, Popple and Brule rivers are all popular paddling destinations. The Wild Rivers Interpretive and Resource Center showcases the history of the area and should be your first stop on your Florence County adventure. Florence County offers fantastic fishing. Cast for walleye, northern pike, musky, bass and bluegill on 265 lakes. Many of Florence County’s lakes have little or no development. Swim, boat or just take in the gorgeous scenery. And for the trout angler, Florence County offers hundreds of miles of trout streams. 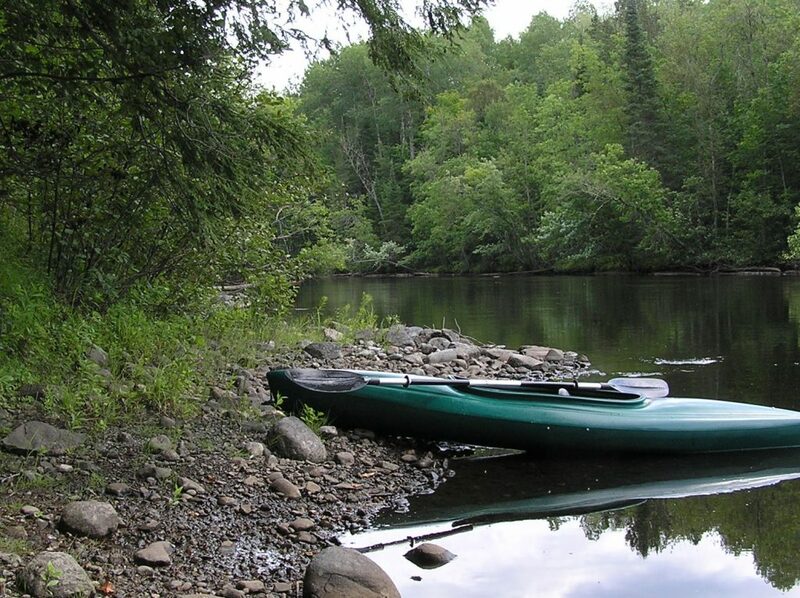 Explore the Nicolet National Forest, which offers hundreds of thousands of acres for hiking, hunting, wilderness camping, birdwatching and mountain biking. Horseback riders will find riding opportunities on Bush Lake Flats Trail and Hall’s Creek Trail. During the winter, cross-country skiers can glide along a number of excellent trails, including Lake Emily, Bush Lake Flats, Lauterman Lake and Hall’s Creek ski trails. Snowshoers can explore a nearly endless wilderness. 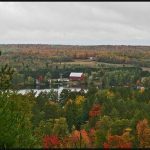 Keyes Peak Ski Hill offers downhill skiing, snow tubing, snowshoeing and cross-country skiing – and it’s a great place to go in the fall to enjoy the autumn color. Florence County is home to nine public campgrounds and two private campgrounds. Combine these campgrounds with the wilderness camping opportunities in Florence County’s vast public lands and you have a camper’s dream destination. Florence County also offers more than 150 miles of outstanding ATV trails. 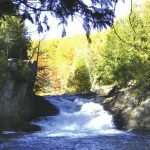 Trails pass through miles of untouched forests and offer scenic overlooks and waterfalls. Snowmobilers can ride nearly 200 miles of trails within Florence County and link to many more miles of trails leading northward into the Upper Peninsula of Michigan. Bring your clubs to Florence County and golf the Spread Eagle Golf Course. If mini-golf is more your style, do some putting at Keyes Lake Campground Mini-Golf.